Second Squad detectives report the arrest of a Pennsylvania man for three burglaries that occurred in Hicksville and Jericho on 05/01/14, 09/16/14 and 09/24/14. Hicksville, NY - September 25th, 2014 - Second Squad detectives report the arrest of a Pennsylvania man for three burglaries that occurred in Hicksville and Jericho on 05/01/14, 09/16/14 and 09/24/14. According to detectives, on Wednesday, 09/24/14, at 12:15 P.M., Christian Garcia, 41, of Kistler Valley Rd., Kempton, entered a residence on Boblee Lane in Hicksville, by breaking a rear window. Once inside the victim removed assorted jewelry and fled the scene in 1997 White Ford Ranger. Bureau of Special Operations police officers located the vehicle a short time later in the area and placed the defendant under arrest. Police recovered Marijuana, metal knuckles, assorted jewelry and burglar tools from the defendant’s vehicle. Additionally, Garcia was responsible for a burglary committed on 09/16/14 at a residence on Westmoreland Rd. in Jericho, in which he removed cash and assorted jewelry, and an attempted burglary on 05/01/14 at a residence on Rising Lane in Hicksville, where he was confronted by a witness. The defendant struck the victim on the face and pushed him to the ground. He then entered his vehicle and fled the scene. Garcia is being charged with two counts of Burglary 2nd Degree, Attempted Burglary 2nd Degree, Assault 3rd Degree, Unlawful Possession Marijuana, Criminal Possession Weapon 3rd Degree, Criminal Possession Stolen Property 5th Degree, Possession Burglar Tools, Registration of MV Operate MV with Improper Plates. He will be arraigned on Thursday, 09/25/14 in First District Court, Hempstead. 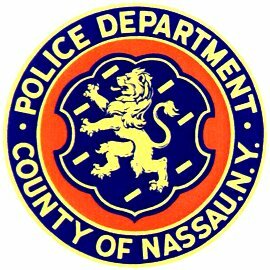 Subject: LongIsland.com - Your Name sent you Article details of "PA Man Arrested for Burglarizing 3 Nassau Homes"